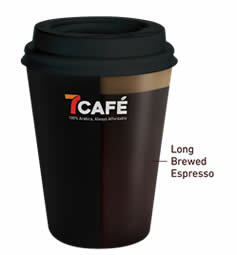 7-Eleven has announceed the rebranding and expansion of its popular freshly brewed coffee offerings to 200 stores islandwide. 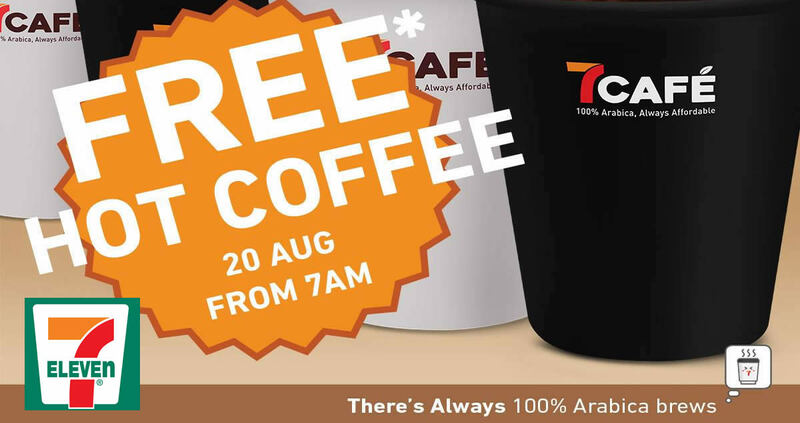 To celebrate this occasion and to thank loyal customers for their support, 7-Eleven will be giving away 10,000 cups of free hot coffee on 20 August 2018. 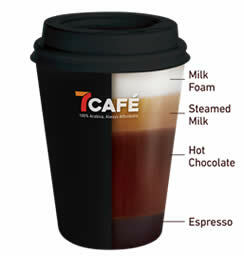 Now called 7Café (previously known as 7-Cuppa), the wider availability of 7-Eleven’s freshly brewed coffee to 80 more outlets answers Singaporeans’ call for quality coffee that is affordable and always available round-the-clock. 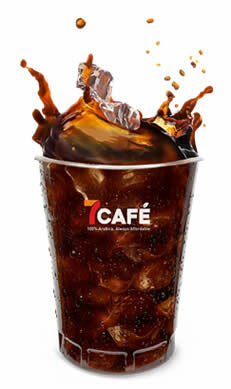 Besides bringing in newer editions of German-made WMF coffee machines at these 80 stores, 7Café will introduce Iced Long Black coffee as an additional beverage choice. 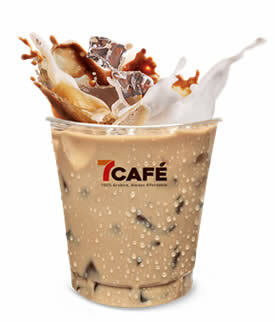 New mini freezers with sealed ice cups will also be installed by September, making the full coffee menu of both hot and iced beverages available in nearly all 200 7Café stores for the convenience of 7-Eleven customers. 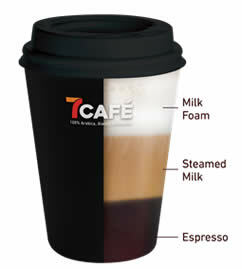 7Café coffee uses only quality 100% Arabica beans from Latin America. Each cup is freshly brewed using WMF bean-to-coffee-machines to extract the best flavour and taste. 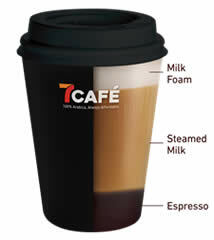 At affordable prices starting from as low as $1.50 onwards, 7Café pledges to provide quality coffee at pocket-friendly prices. 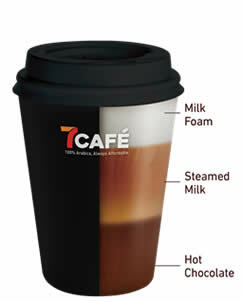 50 cups of hot 7Café beverages will be given away each at 200 7-Eleven stores. To enjoy your complimentary hot beverage, simply follow 7-Eleven Singapore on Facebook, and flash the ‘Free Coffee’ post which will be posted on 15 August 2018. 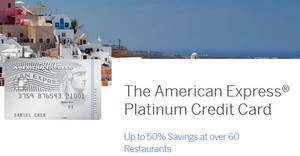 Hot beverages available for this giveaway: Long Black, Latte, Cappuccino, Mocha, Hot Chocolate. Giveaway starts on Monday, 20th August 2018, at 7:00am. Limited to one cup per customer. A shot of long brewed espresso mixed with hot water. Similar to Americano, a long black has a strong aroma and flavour. A shot of espresso with gently steamed milk and a little milk foam. ‘Latte’ is Italian for milk, so traditionally customers ask for caffé latte in Italy. A cappuccino has more espresso and milk foam than a latte, and traditionally it would have ⅓ espresso coffee, ⅓ steamed milk, and ⅓ milk foam. Similar to a latte, a mocha has a portion of hot chocolate, for a delicious chocolate-flavoured coffee drink. Served with steamed milk and milk foam, a hot chocolate is toasty cup of caffeine-free treat. 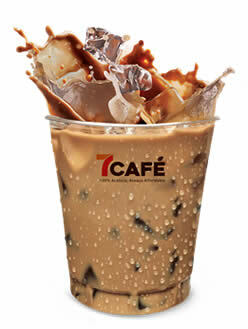 A new introduction to 7-Café! Enjoy a cup of iced coffee when you’re feeling the heat, but still craving that caffeine kick.